Seattle’s premiere family law firm for men, Goldberg Jones is dedicated to representing Western Washington’s husbands and fathers in divorce, child custody, child support, and other family law cases. Seattle’s premiere family law firm, Goldberg Jones is dedicated to representing Western Washington’s husbands and fathers rights in divorce, child custody, child support, and other family law cases. We are located in the AGC building in South Lake Union. Washington State family law, as written, does not discriminate against husbands and fathers, but many men feel that is the practical result. Our team of divorce lawyers can help you navigate through the process and protect what’s most valuable to you. Washington State family law, as written, does not discriminate against husbands and fathers, but many men feel that is the practical result. Divorce involves much more than filling out paperwork. Even straightforward cases become complicated in a hurry. Your choices impact your life, your future financial security, and the lives of the people you care about for years to come. Whether you're a married or unmarried parent, maintaining a presence in your child’s life is important. Parenting plans, visitation agreements, and residential schedules establish all future contact with your kids. Child support is one of the most significant expenses parents face. Depending whether you’re the residential or non-residential parent, you may be entitled to receive or obligated to make payments. Calculate Your Own Support Responsibility. We keep an informative blog about various family law topics. Our thought leader posts cover a range of subjects related to our practice. This includes divorce, child custody, child support, and other areas of interest for husbands and fathers. We provide useful information about common topics of interest, frequently asked questions, and attempt to take the mystery out of the divorce process. We keep an informative blog about various family law topics. Our thought leader posts cover a range of subjects related to our practice. This includes divorce, child custody, child support, and other areas of interest for husbands and fathers. We provide useful information about common topics of interest and frequently asked questions, and attempt to take the mystery out of the divorce process. * The Goldberg Jones blog serves an informational purpose only and is not legal advice. Laws vary from one state to the next. Divorce lawyers that know the ins and outs can make or break a case. Our Seattle-based attorneys are well versed in Washington State law and offer professional, aggressive, honest representation. We help you navigate through the process and protect what’s most valuable to you. An ever-expanding collection - you’ll find useful information as we shed light on common, and uncommon, family law questions and take some of the mystery out of the divorce process. Our founding partner, Rick Jones, stops by the Danny Bonaduce and Sarah Morning Show on KZOK 102.5 on the first Wednesday every month to answer family law questions from callers. Your questions are the most important, but take a look at the questions on divorce we hear most often. We also provide information on topics we think you really need to know about. Family law is all we do. As leaders in the field, we provide concrete answers and a clear, concise view of your options. No two cases play out the same. Our managing attorney, Ken Alan, examines the details of your case, assesses your situation, and provides guidance on how best to move forward. Our attorneys take strong, active measures to protect you and your interests in divorce, custody, and other family law matters. We’re dedicated to defending your rights as a husband and dad. 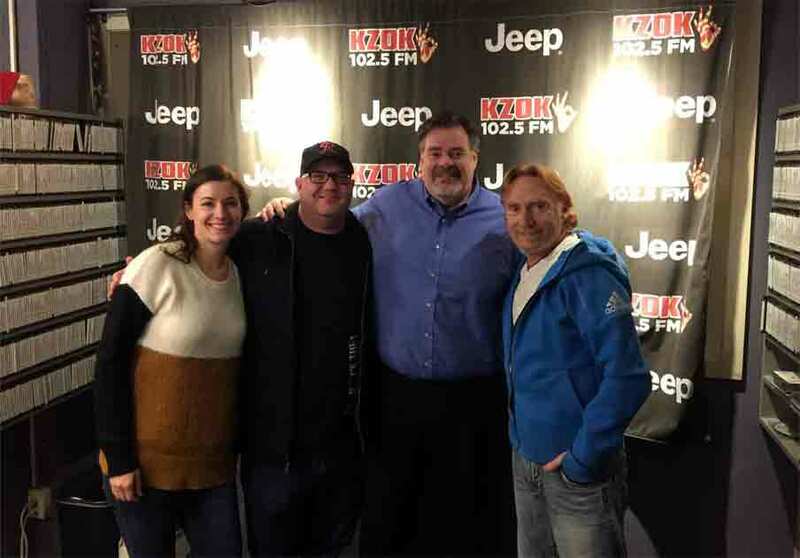 Our founding partner, Rick Jones, routinely stops by the Danny Bonaduce & Sarah Morning Show on KZOK 102.5 to answer family law questions from callers.